By the same token, make a program run in 1 second instead of 1.5 by rewriting the entire thing in C or even Assembler is probably not worth it, if you could write it in Python in a tenth the time. The bug count in software is directly proportional to the line count, and independent of the language. Given this fact, writing in the highest possible language will reduce your lines of code, and thus your bug count. While in some cases, higher level languages are very slightly slower, paying even 1 programmer to spend a month creating something is significantly more expensive than just buying a better computer. This point is also made by Jeff Atwood on his blog, most specifically in Hardware is Cheap, Programmers are Expensive. Jeff is a VB.NET/C# developer, who blogs frequently about Windows relating things. The fact that he, from a totally different background, also makes the same point just reinforces it: spending huge amounts of time on tiny optimisations is rarely worth it. Jeff Atwood and Eric S. Raymond are both looking at this from different perspectives, one from a pure cost/benefit analysis point of view, and the other from the point of view of correctness and bug counts. This simply goes to show that not only is this specific point worthy of note, but also conveniently proves ESR's point that the design philosophies of UNIX work very well, even when not used in their fully intended way. There are of course, exceptions to this rule. If many users are running your program, then the relative proportions change. 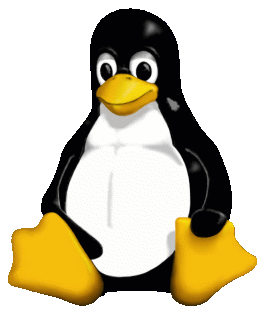 The Linux Kernel, for example, is used globally, and therefore a minor speedup there will potentially benefit billions of people. But even there, the majority is written in C for portability reasons. The extra potential efficiency gained by rewriting in assembly would be lost when the entire kernel would have to be ported to a new platform. A kernel written entirely in assembly would be far buggier, and less portable. Even with this in mind, moving to a higher level language would not be a good idea due to the efficiency lost, relative to the amount of people using this code. 3. Citation - I've tried writing one and it's definitely the buggiest OS I've ever seen. I'm not sure what this proves however! There don't seem to be any comments yet. Please add one below to start the conversation.